Affordable, Senior Friendly Crown Care Condo, Easy Access, Great Lifestyle! 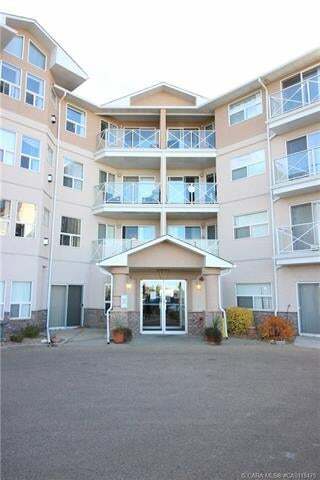 Excellent Location with Medical Clinics, Shopping Centres, Mall and Restaurants close by. Youll Love this senior friendly building and the activities available! The large social room with kitchen is perfect for visiting, entertaining and coffee gatherings. Plus there is a games room, library and exercise area. Youll love the condos open design. Lovely living room with cozy gas fireplace and garden door to inviting sunroom. Country style kitchen with pantry and bright dinette. Spacious Master with Ensuite, In-Suite laundry and bedroom/den. Affordable, Senior Friendly and a Great Location! Its a Great Opportunity!